After releasing their first EP in 2015 to massive press like Billboard and Entertainment Weekly, the duo has been remixing some of their favorite songs of the year and playing shows and touring with the likes of Big Wild, Com Truise, Kiesza and more. 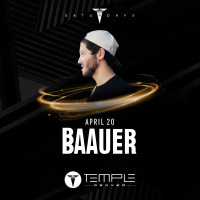 Temple Nightclub Friday's is a venue for artists, by artists, offering a nightlife experience that is unrivaled in the Mile High region. 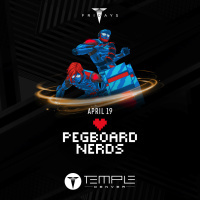 Temple Denver features awe-inspiring, fully immersive state of the art lighting and visuals, to a thundering custom sound system, paired with world-class talent and theatrical production. 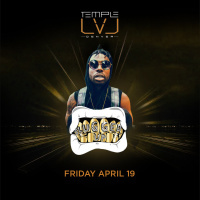 Temple is a 21+ nightclub experience. 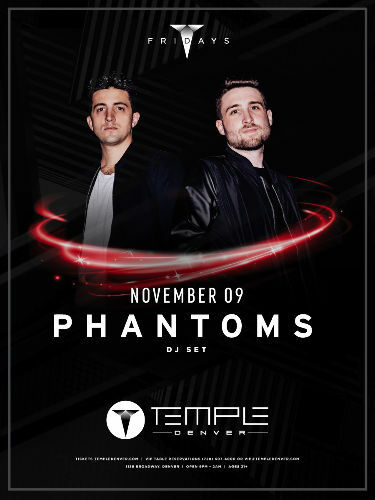 Phantoms, comprised of Los Angeles-based natives Kyle Kaplan and Vinnie Pergola, are a dance act that does exactly that. Often tough to box in... the boys' style lends itself to many elements of electronic and pop music; while still managing to always incorporate distinct synths and drum samples that have become synonymous with their "genre" of alternative electronic. Stemming from deep-seated roots in music and entertainment backgrounds, K&V put their entire beings into the project. 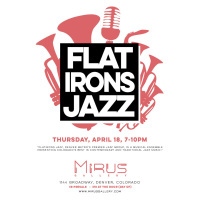 They keep everyone continually dancing with an impressive live set of drum pads, synthesizers and midi controllers, while also keeping audiences engaged through their own style of humor on social media platforms. A full-time job for the band. Their fun and downright captivating personalities shine through all aspects of Phantoms.